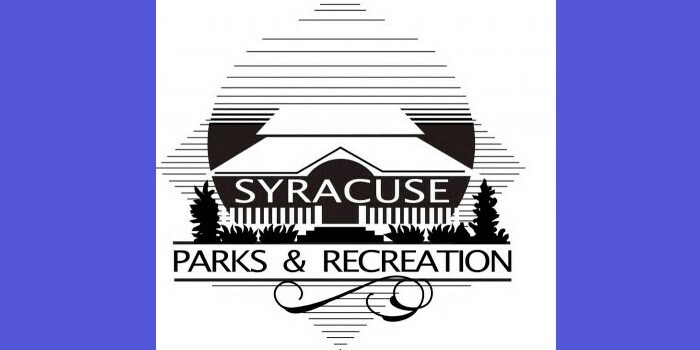 During the Syracuse Parks and Recreation board meeting Monday evening, June 8, parks superintendent Chad Jonsson asked the committee to review the master plan report for project ideas they would like to include or continue to work toward in a revised report. The master plan is a five-year plan required for organizations wishing to apply for grant programs administered by the Division of Outdoor Recreation. The members of the board considered options to receive public input including a public forum and an online survey. The date for a public meeting will be announced in the future. In other business, Jonsson announced the cost for the new pavilion at Lakeside Park will be paid for by the Parks Foundation in addition to a grant received previously by the Syracuse Parks Department. Construction is scheduled to begin July 13. The parks board heard program updates from Tyler McLead, community center program director. Children’s activities are getting a considerable response as well. The first week of Art in the Park, 40 children participated and 35 the second week. The program director is expecting more vendors at the Kids Market in June and July. There is still space available for children who would like to sell handmade arts and crafts. Kids Market is open 10 a.m. to 1 p.m. the second Saturday of each month, concurrent with the farmers market. The Wawasee schools summer lunch program is currently available at noon until 12:45 p.m., under the Lakeside Park pavilion. Once construction begins the lunch program will move to the gazebo. Several upcoming events were reported. The Mudtastic Classic mud run is scheduled Saturday, June 27, with check-in beginning at 8 a.m. Registration remains open until June 19. Deadline to receive a T-shirt is Friday, June 12. Register at Syracuse Community Center or online at www.runreg.com. July and August events include Syracuse Lake fireworks July 3, financial 101 educational series continue at 6 p.m. Monday, July 6, and Aug. 3. The Tour des Lakes events are scheduled for Saturday, July 11, at Syracuse Community Center, 1013 N. Long Drive, and Thursday, July 30, through Saturday, Aug. 1, the town of Syracuse will host its community wide garage sales. The final summer event reported is a free presentation by the Notre Dame Shakespeare Festival Young Company titled “Love’s Labor’s Lost” beginning 7 p.m. Sunday, Aug. 2, at Lakeside Park. For more information about these events visit www.syracusein.org or call (574) 457-3440. Jonsson presented a proposal for the 2016 park and recreation budget as his final item to board members. The budget proposal would allow for the purchase of a parks department office car. The request would transfer a $5,000 decrease in the lifeguard budget to be allocated for new equipment increasing the new equipment funds to $12,000. Other modifications included in the revised budget is a 5 percent increase in health insurance. Member Paul Gingerich recommended a used police vehicle as a possibility for the department. Jonsson agreed it would be an option if there was a suitable car available at the time of purchase. Other questions raised during the discussion addressed the cost of insurance and whether a truck would be more fitting for park use. The superintendent believes the cost of driving insurance will not change based on the current policy and he affirmed a car would be more suitable for in town driving. Prior to adjournment, the board unanimously favored a motion by president Dave Vanlue to accept the proposed budget as a recommendation for the town council.